Three Dancers. 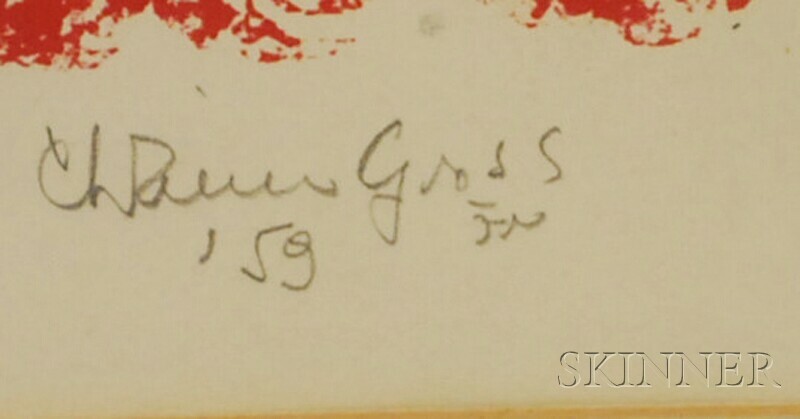 Signed and dated "Chaim Gross '59..." l.r., numbered "10/45" l.l. Color lithograph on paper, sight size 14 1/4 x 19 in., framed.